Reasons Why You Should Hire Us to Inspect Your Property! 🔨 Great Home Inspection Services at Affordable Prices! 🔨 We Inspect ALL of the Greater Houston Area, Click Here To Read Houston Home Inspection REVIEWS! Specializing in Residential Home Inspection & Commercial Inspection Services in Houston, TX. Looking to purchase/sell a home in the Greater Houston, TX Area? Don't go at it alone, be protected with ATEX on your side! If you are interested in acquiring/selling a commercial property, you need our services to help with the negotiation process. Building your dream home from the ground up can be rewarding, have ATEX closely examine each step to ensure proper building techniques. Common Areas Around Houston We Inspect! 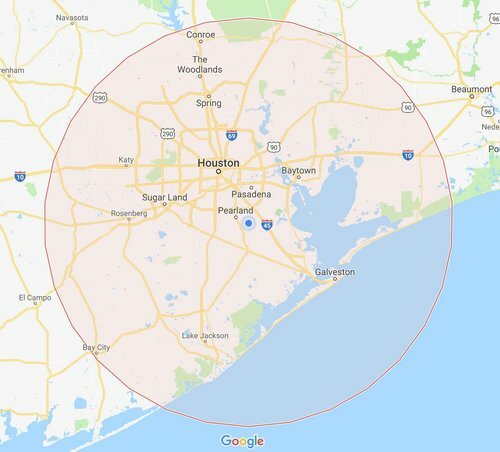 These are just a few of the Areas we perform Home Inspections & Commercial Inspections at on a daily basis in & around the Greater Houston Area. Click on each City name to read more about the selected city! Schedule your Home Inspection today & rest assured you are making a smarter / safer investment. Thank You For Visiting , We understand that you have many Home & Commercial Inspection Companies to choose from in the Houston Area. We appreciate your consideration of ATEX INSPECTS, LLC as your Home or Commercial Inspection Company. CLICK HERE to view some SAMPLE REPORTS! or read some testimonials!